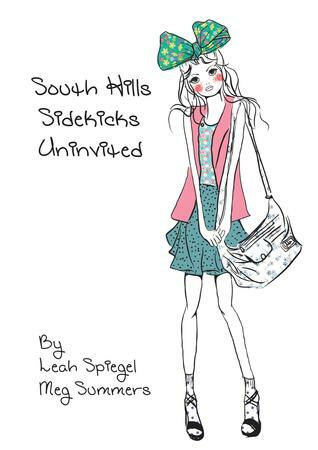 Welcome to my stop on the blog for Uninvited by Leah Spiegel and Meg Summers, hosted by Xpresso Book Tours! 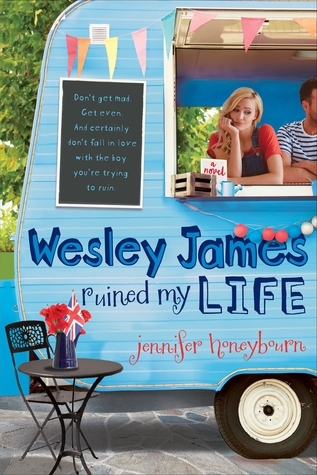 I've got everything you need to know about this funny, YA Chick-Lit book, and I'll tell you a little about the authors in a fun interview! And I also happen to have a giveaway for the book, so be sure to check that out, and thanks for stopping by! In the form of a tweet, how would you describe Uninvited? Alley and her friends will have you laughing out loud while knee deep in trouble playing detective! What are five fun facts about Uninvited? 1. Val was based off of a real person I know, who will remain nameless, but was a jumping board for inspiration. 2. Shane’s last name, Regacki, is the last name of one of Meg’s college crushes. 3. Buddy, the laid back Boxer in the book, was based off a real dog. Buddy was in the dog classes we took to get our Yorkie, Skippy Jon Jones, trained. He made everything look so easy, it was adorable and annoying! 4. We lived near the South Hills Area (which is south of Pittsburgh, PA) growing up, so it was fun incorporating places we loved to go or places we loved to eat at. I even created a pseudo name for the school in the book, Upper East High, which is based off a certain school known in the area. 5. We’ve heard other readers say that this book was so funny that it got them through a difficult time in their lives, which is the most, heartfelt compliment we have ever received. Uninvited features a missing girl, murder, and a boy named Shane. It sounds like the potential for a Nancy Drew-esque mystery and a sweet romance. Is that a possibility? As for the mystery, it’s more hysterical than serious. These four girls: Alley, Val, Kayla, and Libby find themselves with too much time and money on their hands with the exception of Alley, the main character. Some people have compared the story to Mean Girls, which I’d never even seen before I wrote the first book, but these girls aren’t mean. They’re funny and outrageous, but not mean. I didn’t like the snobby people in my high school and surely wouldn’t want to write about them either because where is the fun in that?! But I did need them to be able to get into any party at the school since that was critical to the plotline. What was it like collaborating on a book? Did it make it easier or harder that you two are sisters? We’re like a well-oiled machine at this point. We come up with ideas together like the plot and scenarios we want to see develop over the course of the book. I then write some drafts and Meg reads them to see if they’re good enough. If they’re good enough she edits them, if they’re not we go back to the drawing board. We’re like two different forces coming together since everything needs to make sense and be believable for Meg and I love characterization. We’ve always been very close as sisters so it was only natural for me to turn to her for help. She’s the reason I started writing in the first place since she encouraged me after reading a few drafts of a book I had forgotten about. She puts up with a lot of crap because I’m not as confident in my writing as she is, but in the end, she still believes this is what I was meant to do with my life. Uninvited is the first book in the South Hills Sidekicks series. What can you tell readers about the rest of the series? Nancy Drew or Scooby Doo? Meg would say Nancy Drew since she read those books growing up, but I loved Scooby Doo. I must have seen every cartoon as a kid. Loved that show! Since we’re a little bit older, I’d say neither. We were New Kids on the Block fans but obviously couldn’t make Alley and Val fans too due to their age. We’ve been trying to eat healthier so my fridge is full of freshly cut watermelon and vegetable trays. So I’m going to have to go with Broccoli, definitely Broccoli, but Meg loves Cauliflower. We love our plain Hershey bars whenever we want a break from the fruits and veggies. We are huge chocolate fans which, makes us have to bust our butts even more at the pool the next day. Although we moved down to North Carolina several years ago, we’re originally from the Pittsburgh area. (That’s why a lot of our characters either live in the Burgh or reference our hometown football team, The Pittsburgh Steelers.) And yes, we even have the Southern accents to show for it now. Although Megan’s is considerably thicker, Leah still can’t understand the locals.